the space of the capsule is great , availability of cable plugs and USB port inside, inside light , secure and comfortable. The place is exactly as advertised. Location was fantastic. Value for money was great. The capsule is quite roomy, especially if you leave the door open (although it has a fan). The location is fantastic, with transport and lots of food options near by. 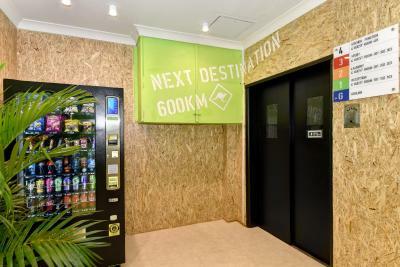 This is a step up from a hostel, but not yet a hotel. It was great for what I needed it for & I'll be back again. Great location. Very close to grant station and China / Korean town. The capsule is clean and interesting decoration. Friendly staff. The capsules are great, no complaints. Staff are friendly and helpful. The capsule had enough space to keep a small backpack inside. The AC managed to cool down the capsule in a decent tims. 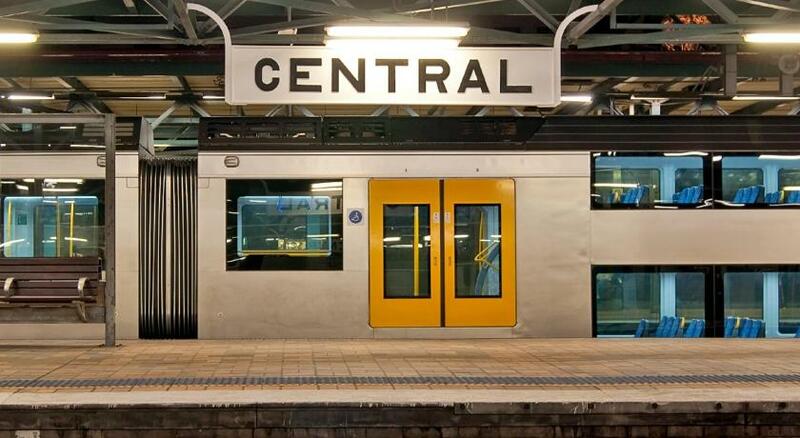 I liked that it was close to Central Station and I could hop on the train and go anywhere in no time. The bed was comfy and it was quiet at night so that was good. Was really interesting experience! The capsule was very comfortable including the mattress and pillow. The stuff at reception was super friendly and ready to help! 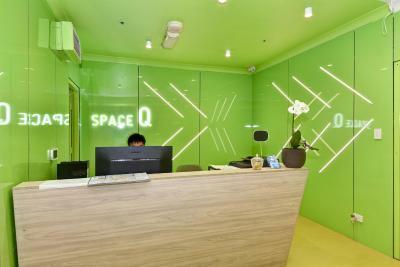 Space Q Capsule Hotel This rating is a reflection of how the property compares to the industry standard when it comes to price, facilities and services available. It's based on a self-evaluation by the property. Use this rating to help choose your stay! 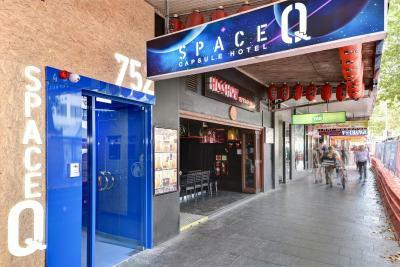 Perfectly positioned in the heart of Sydney, Space Q Capsule Hotel is 350 feet from the Capitol Theater. 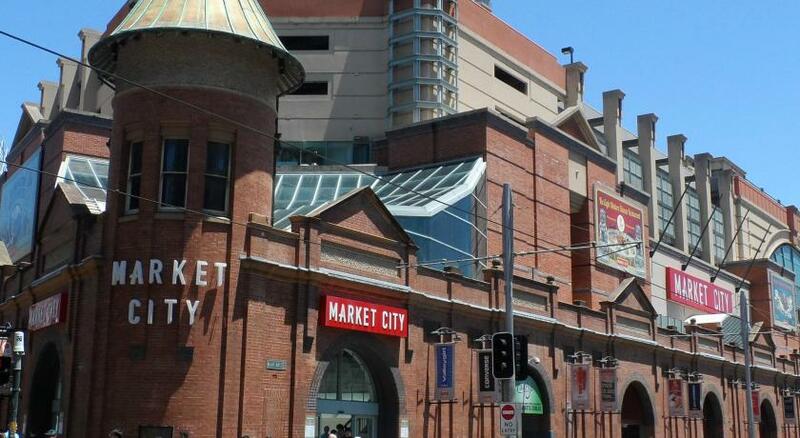 Popular points of interest around the property include Darling Harbor Sydney and Allianz Stadium. 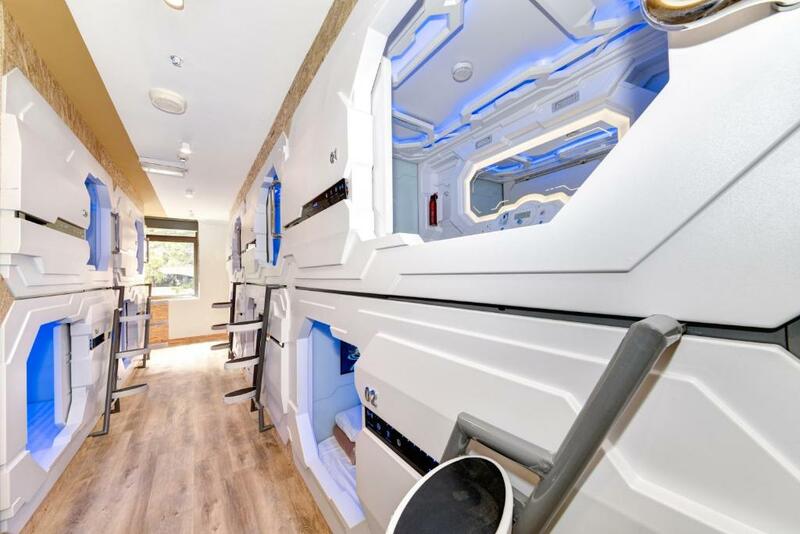 The capsule hotel concept allows guests to stay in a private, self-contained ‘pod’ complemented by modern shared spaces including a kitchen, living and entertainment area, male and female bathrooms and a laundry. Each capsule is equipped with the latest technology,and multiple USB ports. Accessed using a private keycard, your capsule allows you to store small personal items in an in-capsule safe. Larger pieces of luggage can be stored in a secure locker. 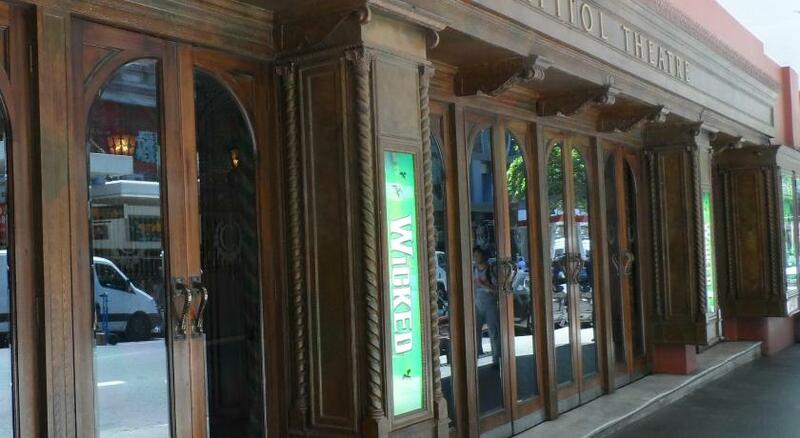 The property is a 5-minute walk from Central Railway Station. Circular Quay is 1.4 mi from Space Q Capsule Hotel, while Overseas Passenger Terminal is 1.5 mi from the property. Kingsford Smith Airport is 4.3 mi away. 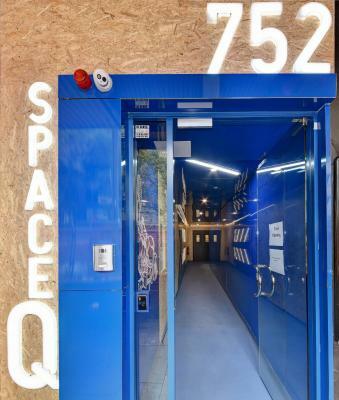 When would you like to stay at Space Q Capsule Hotel? This single room has a tile/marble floor, dining area and oven. 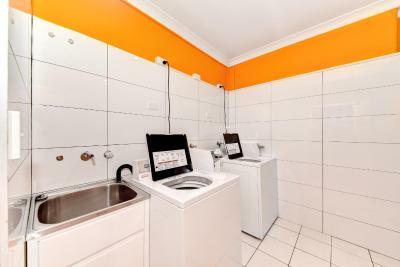 This single room features, kitchenette and washing machine. 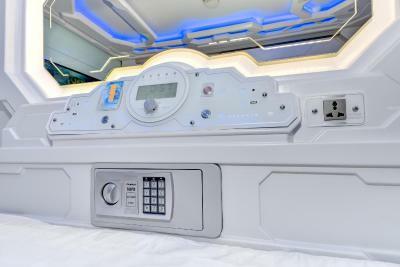 House Rules Space Q Capsule Hotel takes special requests – add in the next step! Debit card Space Q Capsule Hotel accepts these cards and reserves the right to temporarily hold an amount prior to arrival. Space Q Capsule Hotel accepts these cards and reserves the right to temporarily hold an amount prior to arrival. A surcharge of 15 AUD applies for arrivals after check-in hours. All requests for late arrival are subject to confirmation by the property. For reservations made by a third party, you will need to complete an authorization form and present a copy of the person's photo ID and credit card. For more information, please contact the property using the contact details found on the booking form. 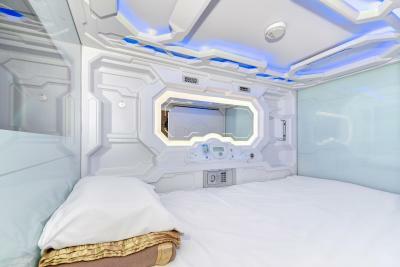 Please inform Space Q Capsule Hotel of your expected arrival time in advance. You can use the Special Requests box when booking, or contact the property directly using the contact details in your confirmation. Unable to adjust A/C or temperature inside capsule. Was too cold at some point. I stayed for 5 nights. The capsules were not soundproofed, so very noisy at night when people were opening/closing capsules and it had a hard floor (not carpeted) so noisy when people were leaving with suitcases in the middle of the night. The capsule door runners near where my head would lie were full of dust and dirt. Someone was also given a keycard that enabled her to enter the wrong capsule which then made me worry if the cards could enable people to access my capsule and if my luggage would be safe when I wasn't there. The bathroom facilities (both toilet and shower) were TINY and almost impossible to move around in. The shower doors are pretty much transparent which I discovered when accidentally seeing another woman in the shower!!! There are no hooks on the walls to hang towels inside the shower cubicles and in the majority of showers no place to get changed after washing. 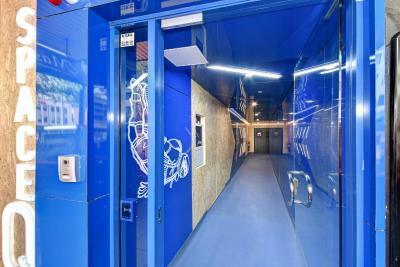 The door was always open next to the walk way into the showers, not sure if thats where they expected people to changed?! In the kitchen there were about 3 knives and 3 forks between the whole 'hotel' to share (that is literal) and some of those were plastic. No proper hob to cook on with multiple rings... just one electric hot plate.. not enough for all those people and worse standard than in a hostel. One of the side tables i sat at in the lounge was filthy and covered in stains and dirt. The lift is ancient and 'historic'... luckily I am a fairly young backpacker but someone more frail may struggle moving it as its heavy to slide the door back and forth. The walls are covered in chipboard... as though meant to be done in an arty way but actually just looks like they haven't been bothered to finish decorating properly. This place refers to itself as a 'hotel' but to be honest it didn't have lots of the key things that I get from a lower budget YHA hostel. That the capsule allowed me some space alone. The capsules are a good idea but its a shame they didn't put barely any investment in to the rest of the building. The lounge area was quiet. The bedding seemed clean. The staff on reception were friendly and attentive. The lift door was difficult to open, the security front door to street didn't seem to lock properly. 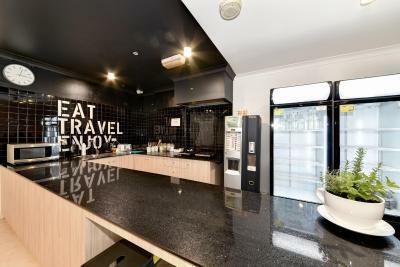 Clean capsule, free luggage locker, showers and toilet ok, excellent location to Central rail station, helpful staff, value for cost. TV not working since last year and only few toilet not enough for all the guests when they are full house and too small. Bathrooms not so clean, smelly drain, floor dirty etc. I’d rather pay more for a pod to ensure the bathrooms are checked and cleaned every hour or two. Cool concept, pods were really clean. The original vibe design... Helpful staff. Cleanliness. The noise from people talking. The lift had a sign saying to ensure you had your mobile on you when using it so I took the stairs! Capsule was very comfy and the location on George street was good.